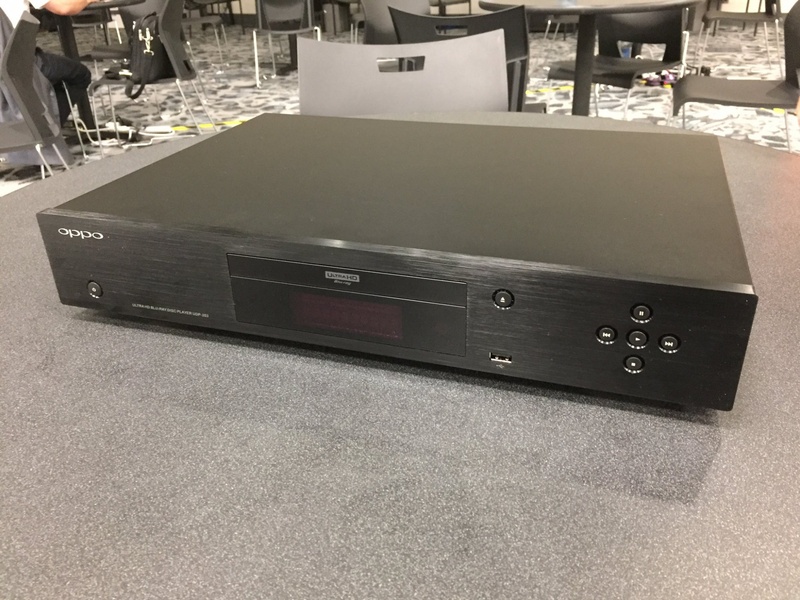 OPPO isn’t officially on the show floor at CEDIA, but a prototype version of its new 4K UHD BD player has been seen making the rounds. The rumor mill has been buzzing over these images and the rumored price. Here’s the quick and dirty. OPPO is currently planning on releasing two versions of a 4K UHD BD player: The UDP-203 and UDP-205. The primary difference between the two is quality of the analog outputs, with the 205 relying on a better quality EES DAC to output sound through stereo outputs. The 203 will have a lesser DAC that feeds multi-channel outputs (which OPPO is including on the 203 for customers with older systems). As for pricing, the 203 will likely land in the $499-$599 range, while the 205 should find its way to the $1199 to $1299 region. When I spoke to OPPO, they were not able to confirm a ship date. It might be late 2016, but OPPO made it very clear they aren’t interested in rushing a half-baked product to market. They say they are still sorting out HDMI handshake issues, in addition to on screen banding produced when discs encoded with HDR are being fed to non-HDR televisions. I have heard, however, that prototype players are likely to begin beta field testing by the end of the month. That information came from a non-OPPO source, so time will best validate that claim. Robert Zohn, tripplej, ellisr63 and 1 others like this. "Dolby Vision support is not available at this time. We are using a custom MediaTek decoder chip, and MediaTek is a Dolby Vision partner (announced last September) so there is always hope"
Any hint regarding a possible 203D? Seems like most new players are running the Logo's on the back. Nice to see a clean look. I don't think Darbee even has a version yet for 4k...is there? No... I don't think they do. Their latest release was not even HDMI 2.0a compliant. Honestly, with 4K and HDR bubbling to the surface, I don't see where Darbee fits into the bigger picture.